DoingItLocal - Page 1942 of 1945 - Local News in Bridgeport, Fairfield, Stratford, Norwalk, and Beyond! 11:19am–Stratford–Attempted commercial burglary at 540 Longbrook Street who fled in a black SUV, possibly a Chevy Tahoe or Suburban with CT Plate # 371 GDU, carrying two white males with shaved heads in their 40s-50s approximately 150lbs. They fled southbound onto I-95. 12:54–Bridgeport–Police responded to a fight inside Club Azul on Main Street. Police quickly requested additional units when one of the parties had a gun. Police are now requesting an ambulance to the scene. 1:03am–UPDATE–Scene under control “a couple arrests with a weapon recovery”. 12:19am–Bridgeport–A Garfield resident calls police to report he is missing $2 million. 11:28–Bridgeport–Big fight at Ray Kelly’s on Fairfield Ave.. Multiple police cars en route . 11:38–UPDATE–Five arrests, police closing the bar for the night. 12:01pm–Fairfield– Report of an odor of natural gas and one lethargic employee at the Conservation Workshop, 265 One Rod Highway. Fire and police on the way. 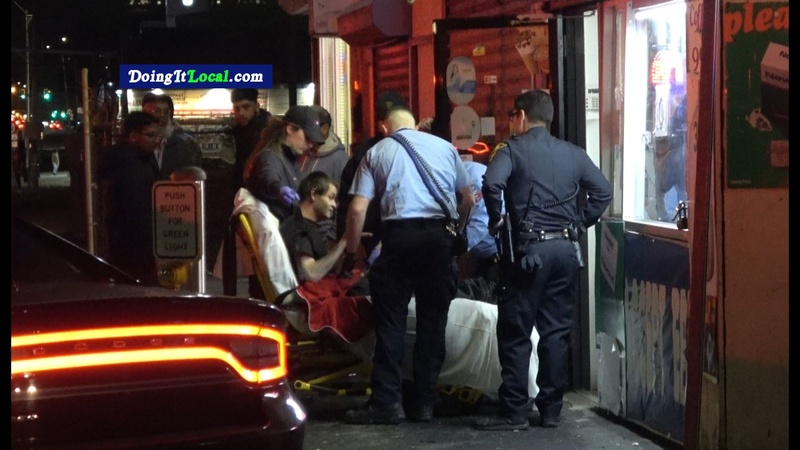 3:34–Bridgeport–Victim shot in the hand on Stratford Avenue but he does NOT wish to identify the shooter. 1:03am–Bridgeport–Police investigating a break in at LA Roma Deli at 652 Brooklawn Avenue. Police have a great description and video of the suspect. 11:43–Fairfield–Gun shots reported in Greenfield Hill section of town. About 11pm gunshots on Hillside Road, police found nothing upon arrival. Additional call for multiple gun shots on Merwin’s Lane and just now on Minehill Road (11:42pm). Police are investigating. 11:08pm–Bridgeport–Report of a man down on Fairfield Ave. and Grove St. 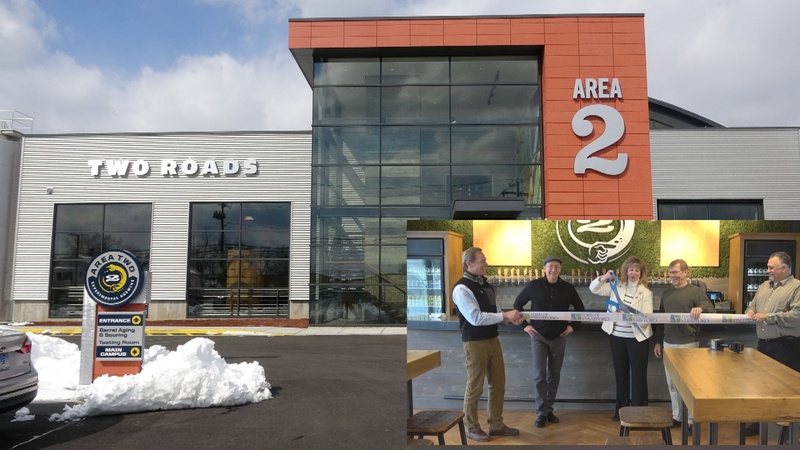 The Fairfield Board of Selectmen voted 2-0, with one abstention, Wednesday to recommend that the state Department of Transportation name the train station on lower Black Rock Turnpike be named Fairfield Metro. 3:52–Fairfield–School crossing guard at Mill Hill and Round Hill collapses with unknown medical condition. Police, fire and AMR on the scene. 13:09pm–Bridgeport–Bridgeport police are looking for a BURGUNDY Ford Windstar CT Plate- 588-TOR that was carjacked (not red as previously reported). There is a 89 year old female in the passenger seat who cannot speak or move. Police report it was taken by a black male in a red hoodie no weapons displayed. The van was taken from Hawthorne Street. Police radio updates have the van seen near Beardsley Park area but there have been no confirmations. 3/15@12:12pm–Bridgeport–Police and fire department investigating “a man down” on Grand Street. 3/15–2:06am–Bridgeport–Police Officers reporting that lower State Street, Mountain Grove, Dewey to Mapplewood power is out. 11:22pm–Bridgeport–Report of suspicious persons nets a foot chase and narcotics bust behind 58 Sanford Ave.
11:11pm–Bridgeport–Police on the way to Bridgeport Hospital, a gun shot victim just arrived. UPDATE–Victim was dropped off in a black 4 door vehicle, the driver is in the waiting room with the victims mother. Shooting happened in Norwalk, I-95 exit 17 and the victim was driven to Bridgeport Hospital for treatment. Injury was to the hand, non life threatening. State Police will be investigating the Exit 17 area for a crime scene. 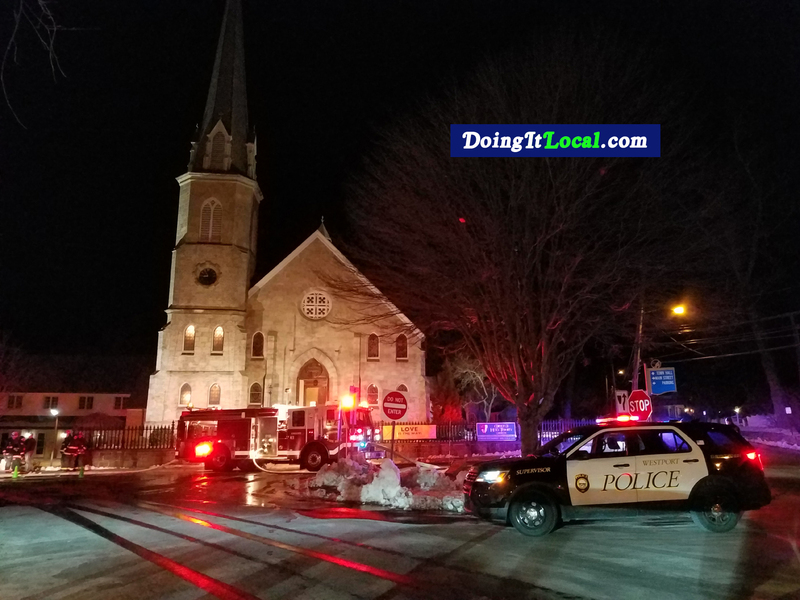 2:31am–Bridgeport–Shots fired at East and Cross Street. Police are looking for a white 4 door Contour. UPDATE- Police have pulled over a white Taurus on Connecticut Ave. and Waterman. They are sending units over to East Ave. to investigate. UPDATE Police are now looking for a black 4 door unknown vehicle with dark tinted windows, last seen headed on Elizabeth and Cross Streets. Fire leaves three without a home on Sims Street in Bridgeport. 12:11pm–Bridgeport–A sink hole on John Street traps a parked dump truck early this afternoon. There were no injuries and it did not impede traffic since it was close to the curb. BRIDGEPORT, CT (March 10, 2011) – Bridgeport Firefighters Union Local 834 has ratified the tentative agreement between its membership and the City, which will result in $1.3 million in savings for the current year’s budget. The current year’s savings will result from two years of zero-percent pay increases, overtime cost avoidance, a hiring freeze and, a change in health care cost share payments from the current 12 percent to 25 percent by April 2011, effectively doubling the amount employees contribute to the cost of their health care coverage. The City anticipates that savings from the change in health care cost share payments over the life of the contract would total in excess of $1 million. 3:12AM–Bridgeport–Report of smoke in the 12th floor penthouse at Bridgeport Hospital…dint’ know they had a penthouse! Update–Security reports heavy smoke on the 12th floor near the elevators. UPDATE–Fire Department issues special call for additional ladder unit to assist with smoke condition at Bridgeport Hospital. 3:31UPDATE–Fire Department finds an overheated electric motor for the elevator and recalls the alarm of fire. Webster Bank Arena at Harbor Yard in Bridgeport CT on Friday, March 11 at 7:30 p.m., Saturday, March 12 at 2 p.m. and 7:30 p.m. and Sunday, March 13 at 2 p.m. A Pit Party will be held preceding both the Sat. and Sun. 2 p.m. shows. * All four shows also feature monster truck freestyle and racing competitions, Quad Wars and FMX. Monster Jam events are affordably priced for the whole family. Buy tickets at Ticketmaster.com or call 1-800-745-3000 or visit a Ticketmaster retail outlet. Audio Highlights from Police Pursuit on I-95 in Fairfield. Norwalk, Fairfield and State Police chased a white Jeep Cherokee wanted for smash and grab robbery of a Radio Shack on Belden Ave. in Norwalk. The suspects eluded spike strips, tried to exit the highway and crashed. Here is the action from that chase, edited for time. 3:15am–Bridgeport–Armed Robbery on Fairfield Avenue. Police are looking for a a black male in his mid 40′s , about 6’1″ medium build with a black fedora, black mask, black gloves, black shoes black trench coat and possibly a white preacher collar involved in an armed robbery at 3486 Fairfield Avenue and he is armed with a shotgun. 3:15am–Bridgeport–Armed Robbery on Fairfield Avenue. Police are looking for a a black male in his mid 40’s , about 6’1″ medium build with a black fedora, black mask, black gloves, black shoes black trench coat and possibly a white preacher collar involved in an armed robbery at 3486 Fairfield Avenue and he is armed with a shotgun. 1:27pm–Bridgeport–Police are reporting that a red Chevy Lumina with tinted windows and a police light in the windshield are ILLEGALLY pulling people over in the Hollow area. It bears CT Plate #- 726TRO and comes back to a Shelton Address. DO NOT PULL OVER FOR THEM AND CALL 911 immediately! 11:51am–Bridgeport–Police en route to Read School for students out of control in the main office. 11:45am–Bridgeport–Police are looking for a red 4 door Impala CT Reg- 509NOF stolen from Krauser’s on Fairfield Ave. This stolen vehicle has a loaded gun which of course concerns police. Bridgeport–8 inch wide piece of fiberglass floating in water sends marine unit scrambling looking for a kayaker at St. Mary’s By The Sea. 12:02pm–Fairfield–Cat succumbs to smoky fire on Jennings Road. 10:43–Bridgeport–Two burglars caught red handed in a garage on Turner Road (off Madison). Bridgeport–Single car into telephone pole we reported in our Traffic Updates on Boston Ave. now called a crime scene. Bridgeport–Armed Robbery Police are looking for 3 light skinned men in their twenties who displayed a gun and robbed a man of over $200 on North Ave. Two of them are wearing black jackets the other a gray jacket. They were last seen on Hancock Ave.
3-7-11–5:41pm–Bridgeport--Police are looking for a white male who robbed the Subway at 3811 Main Street of about $100, last seen running down Jewett Ave. Police are reviewing the surveillance video for further description. 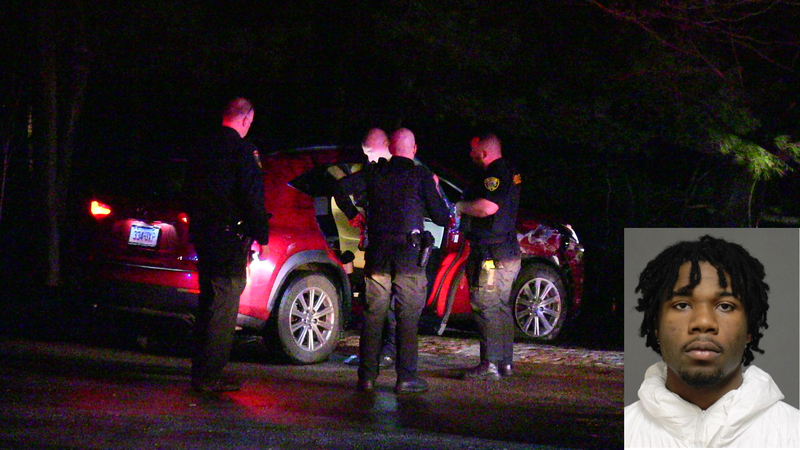 11:49pm–Fairfield–Dinner and a show for Andros Diner patrons; a fire engulfed an SUV in the parking lot. Fire department quickly contains the fire. 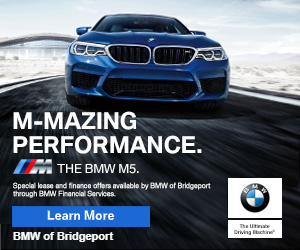 Shortly after 8pm Bridgeport Police attempted to pull over a blue 1999 BMW 323I for motor vehicle violations on East Main Street near Kent Street. 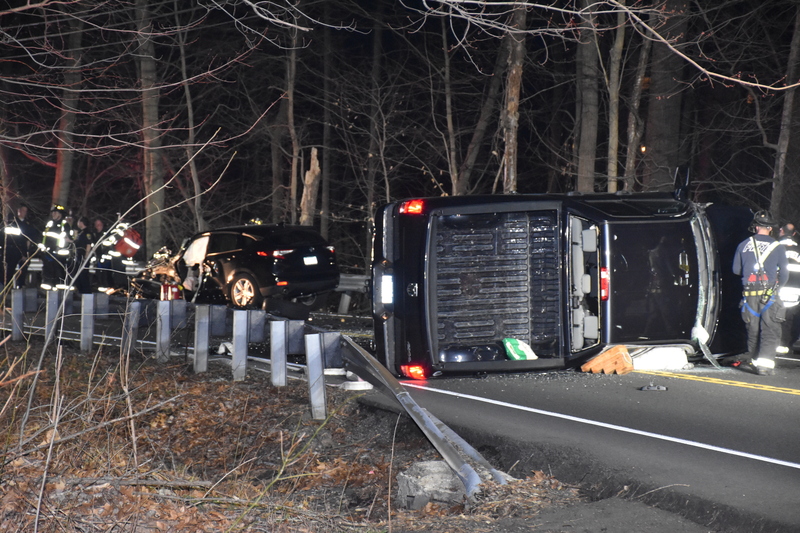 The pursuit continued up East Main Street to Route 8 where the entered the highway northbound, continuing through Trumbull, Shelton and Derby. Bridgeport PD was to terminate the pursuit at exit 15 where their radios reach their broadcast limits back to Bridgeport. The pursuit continued with state police who attempted but failed to stop the BMW with stop sticks. The car was lost the sight of the car somewhere around exit 17. The BMW had Connecticut plate 877XWZ. 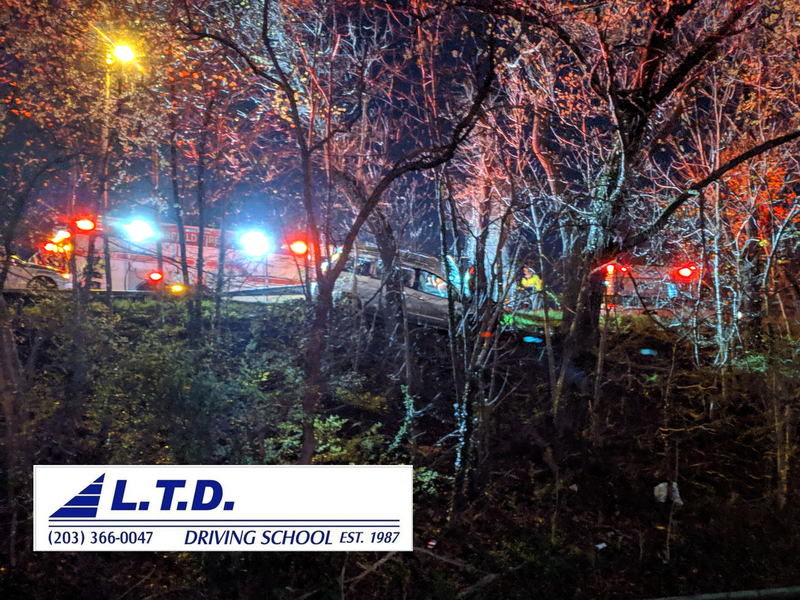 Approximately 25 minutes later Bridgeport Police gave a short pursuit to a black Subuar, the chase quickly ended when the driver thought better and pulled over on the Route 8/25 Connector northbound by exit 5. It wasn’t clear why the driver was wanted but he was arrested and taken to booking. 1:50am–Bridgeport–Police are looking for a heavy set Hispanic male in a red jacket carrying a flashlight who attempted to breakin at 155 Harborview Road. 3/5@1:26am–Bridgeport–After numerous fights last week, additional police units preparing for Club Lo’s closing tonight.